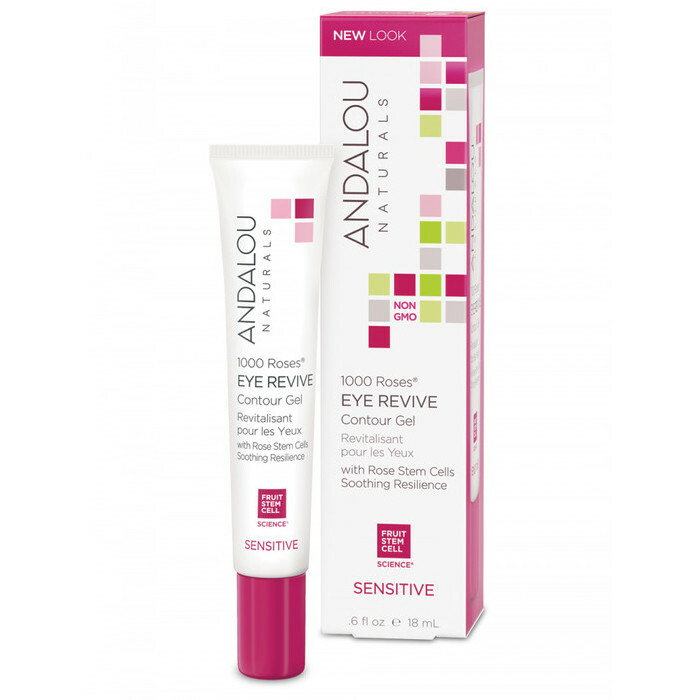 Tone, tighten and refresh the eye area with the 1000 Roses Eye Revive Contour Gel by Andalou Naturals. Ideal for soothing and hydrating the delicate area surrounding eyes, reducing puffiness and dark circles. It is made from Alpine Rose Stem Cells and Pomegrante, this gel is deeply soothing and reviving. Made in the USA with a minimum of 70% Certified Organic Ingredients. Dermatologist-tested, Certified GMO Free, Vegan, Certified Cruelty Free, Certified Gluten Free. FSC Certified and recyclable packing used. Good budget buy on sale. i don’t personally like this rose range, but my mum loves it and her mature skin responds really well to it. I have just switched to the Andalou 1000 roses (night cream, serum and eye cream) and after only a week using them I brought spares so I don’t run out! I have never had such an instant result with skin care! My skin feels softer, look brighter and the eye cream is rich without being heavy. I am a total Andalou convert.